Imprint Method: Pad Print - In the market for a picture-perfect giveaway for the next promotional campaign? 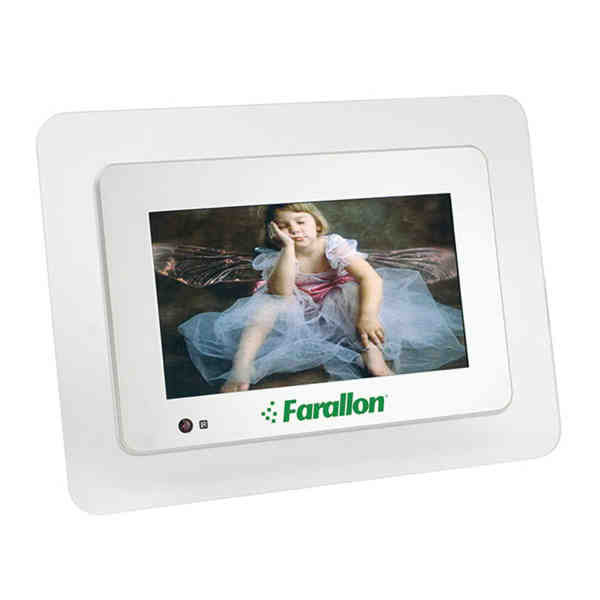 This 5.6" hi-resolution digital desktop photo frame will do the trick! Measuring 6 7/8" x 5 5/8" x 1 3/4", this attention-grabbing accessory also features memory card slots (SD/MMC and memory stick for maximum compatibility with major digital cameras), and a USB host input allows for direct connection of cameras. A full-function remote control with power brick is included. Customize with an imprint of your brand logo. Picturing success is now easier than ever! Grateful. Size: 6 7/8 " x 5 5/8 " x 1 3/4 "